Believe it or not, the former queen of the strawweight division, Joanna Jedrzejczyk is 1-3 in her last four bouts. After losing in back to back title fights against Rose Namajunas, Jedrzejczyk would rebound with a unanimous decision over perennial top 10 contender Tecia Torres before taking a fight back at her old division of flyweight. That one fight happened to be a title fight against her old Muay Thai foe, Valentina Shevchenko. In the end, Shevchenko would once again get the better of Jedrzejczyk, this time over the course of five rounds with MMA gold on the line. Despite having felt good not having to cut the usual amount of weight she was used to cutting at 115-pounds, Joanna Jedrzejczyk’s plan was always to return to the division after her fight with Shevchenko. The former champ recently explained her reasoning. For Joanna Jedrzejczyk, reclaiming the title will mean that she’ll have to get go to battle with either Namajunas or Jessica Andrade once again. The two will meet for the title at UFC 237 on May 11. This, of course, depends on timing and how soon the UFC would be interested in getting Jedrezjczyk back into the strawweight title picture. But for the next title challenger in Andrade, Jedrzejczyk’s last strawweight title defense is held over her. “I beat Jessica so easily, only with my jab, and the thing is, she’s such a dangerous fighter,” Jedrzejczyk said. 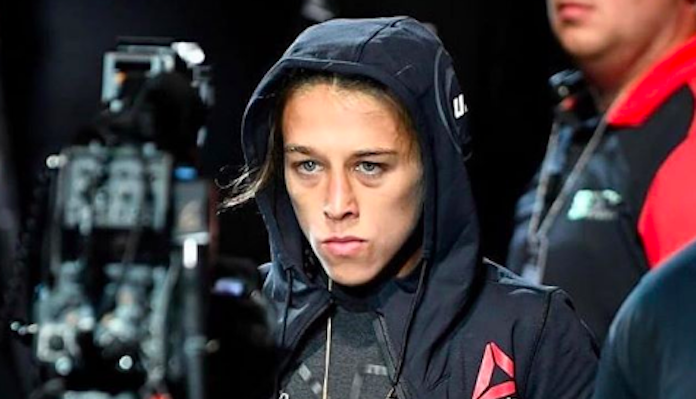 “There is nobody else who has beaten her [at strawweight]. Having experience against both fighters, Jedrzejczyk continues to share insight on how not everything will not always add up in the crazy sport of MMA. “I think one of my best fights ever was with Jessica Andrade, but believe it or not, I did not win the fight with Rose Namajunas, but I was more ready, I was even better prepared,” Jedrzejczyk stated.